Kazuo Hirai, Executive Deputy President of Sony Entertainment, has made an official announcement regarding the Playstation Network attacks and the restoration of PSN services. As I've said before, the behavior of Sony over the last five years or so has been defined and driven by a pervasive arrogance. From the design of the PS3 to the pricing, marketing, and creation of additional Sony products, this was a corporation who behaved as though the market was theirs by right. When the PSN returned, I expected more of the same. I anticipated that they would be evasive about how the breach occurred, they would downplay the damage done, and that they would be flippant about the long-term impact of this event. Honest admission of mistakes. The tendency of companies in this position is to apologize that bad things happened without admitting guilt in public. This is because publicly taking responsibility makes them easy targets for lawsuits. This is why companies so often engage in evasive double-talk. None of that here. This might make the inevitable lawsuits tougher, but it engenders trust on the part of the consumer. No salesmanship. They didn't pause in the middle of this thing to tell us how awesome the PSN is, or to remind us that it's free. Kazuo Hirai didn't say anything like, "While the Playstation 3 Blu-Ray player has continued to bring you unprecedented picture quality while watching your favorite movies, we've been working hard to restore the other features of your Playstation." Or whatever. None of that. No messing around or trying to sleaze their way through by trading on the positive aspects of their products. Muted presentation. Okay, Kazuo Hirai has a sweet office, but that's his office. (I suppose it could be someone else's office, but whatever. It's not a set, that's for sure.) They didn't put him on a white set with the Sony logo behind him. They just brought in some cameras and made him talk. Again, they're not trying to polish this. Humility. Kazuo Hirai didn't really pull any punches when it came to apologizing and admitting guilt. Explicit mention of the trust problem. Sony shows that they understand that this problem goes deeper than, "some technology broke and you were put out". Acceptance of responsibility. They didn't try to pretend that hacking was like rain, falling on the just and the unjust. It's not a random thing that happens, like lightning strikes, or cancer. They accepted that the breach was a direct result of their failures, and didn't try to shift blame to things beyond their control. Around the three minute mark he did point out the hackers are always hacking things, like they do, but he didn't repeat the meme I've been hearing lately that "no network can ever be secure". Good solution to the PSN password problem. When they found the breach, Sony had a problem. One group of people had (or might have) the password for everyone else. From their standpoint, how could you ever be sure of anyone's credentials ever again? I'm not a security expert, but I think their solution to the password problem is a good one. You have to change your password when you log in again. You can only do so from the machine you've been using. This means a hacker with the full list of passwords can't log in and pretend to be any of those people, even though he's got their login. There will be a small number of people who already owned an account but who bought a new Playstation 3 between the breach and now, and Sony can deal with those cases individually. They are talking directly to the customer, and only the customer. They didn't work in any language for the benefit of shareholders. They weren't trying to speak to both groups with the same message. There's nothing here about protecting value or building brands or securing assets. You can walk away from this with the impression that Sony doesn't give a damn about what happens to them, as long as you're okay. This is still a mess, but this is the best response Sony could have given us. This was exactly the right approach. I also hope they carry a bit of this humility forward. I don't want them to go around in sackcloth and ashes, eternally begging forgiveness, but I do want them to continue to think of the market as a thing for which which they must fight - a thing which can be ripped from their hands at any time. Nearly all of their recent mistakes have grown from their attitude that the market was theirs by default, and all they needed to do was build a wall to fend off Microsoft and Nintendo. 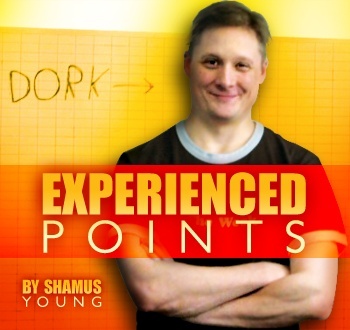 Shamus Young is the guy behind Twenty Sided, DM of the Rings, Stolen Pixels, Drawn To Knowledge, and Spoiler Warning. Don't even get him started on the Mass Effect 2 DLC.